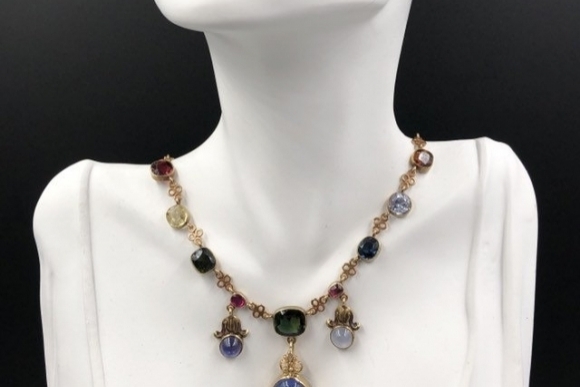 This exquisite Victorian Revival necklace is set in 14K yellow gold with multi gemstones including fancy sapphires, garnets, tourmalines, and citrines. 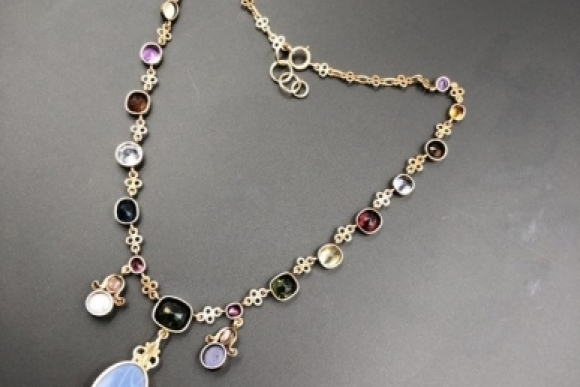 The necklace centers on a detachable opal pendant with two floral capped dangle cabochons on either side. 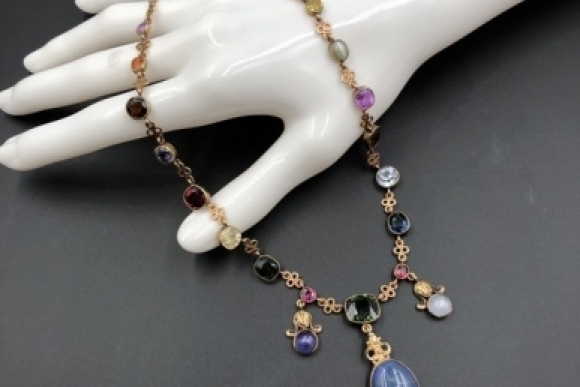 The bezel set gemstones are connected by quatrefoil links, and the necklace is secured by a spring ring clasp. 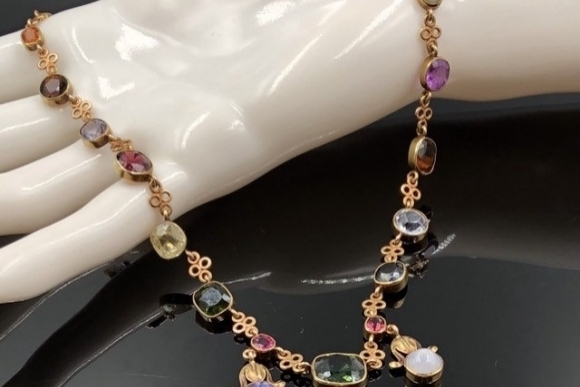 This is an absolutely beautiful necklace! 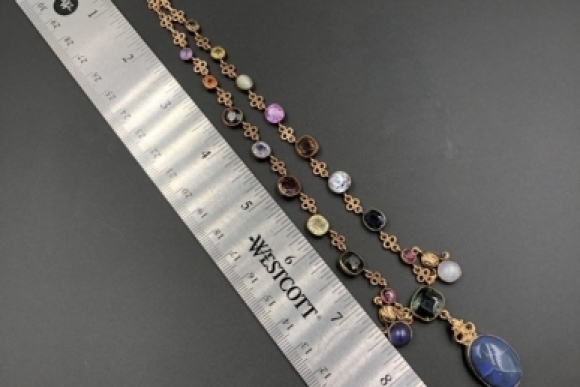 The necklace measures 15 1/4" long; however, the previous owner added gold plated split rings to increase the length to 16 1/2". 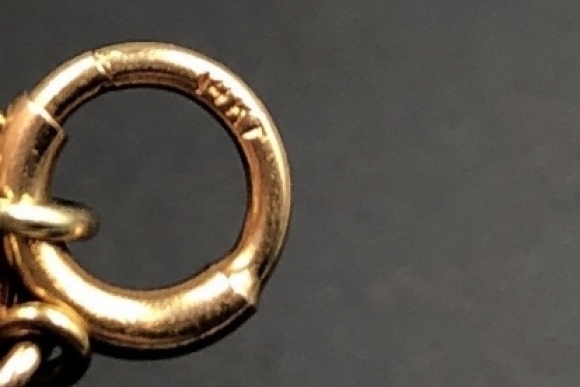 The split rings are easily removed if desired. 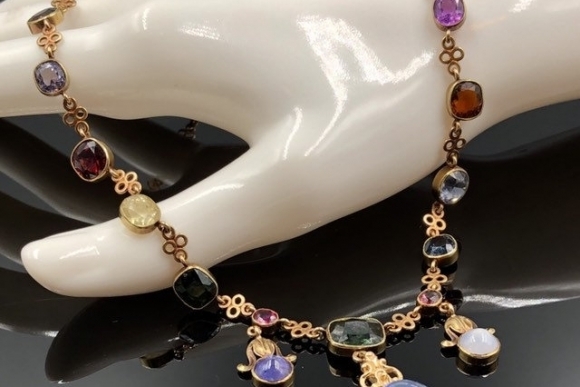 The necklace with pendant weighs 25.7 grams. Very good condition. The removable opal pendant shows obvious crazing.